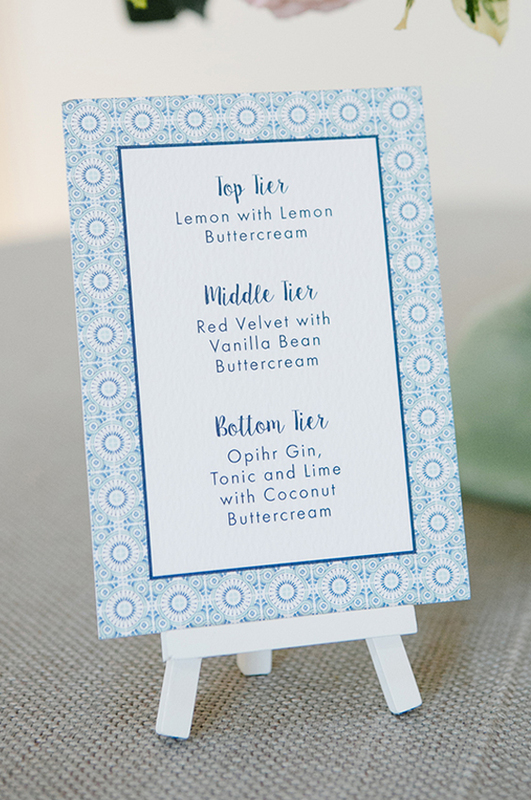 Thinking of having a destination wedding in Europe? Portugal is the perfect place – with its beautiful architecture, breathtaking coastline and stunning olive groves – we think it’s a no brainer! (Not to mention it has 300 days of sunshine a year!) 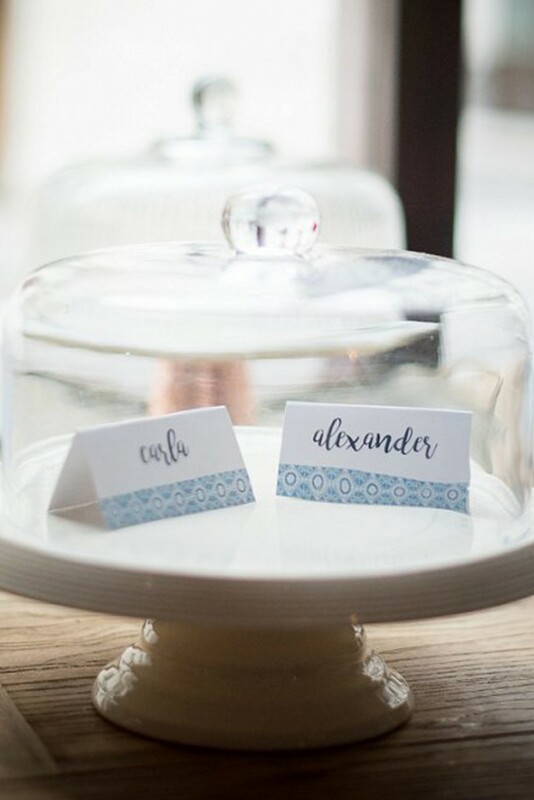 But if that’s not enough to persuade you, here’s some of our favourite Portuguese wedding ideas to get you inspired! 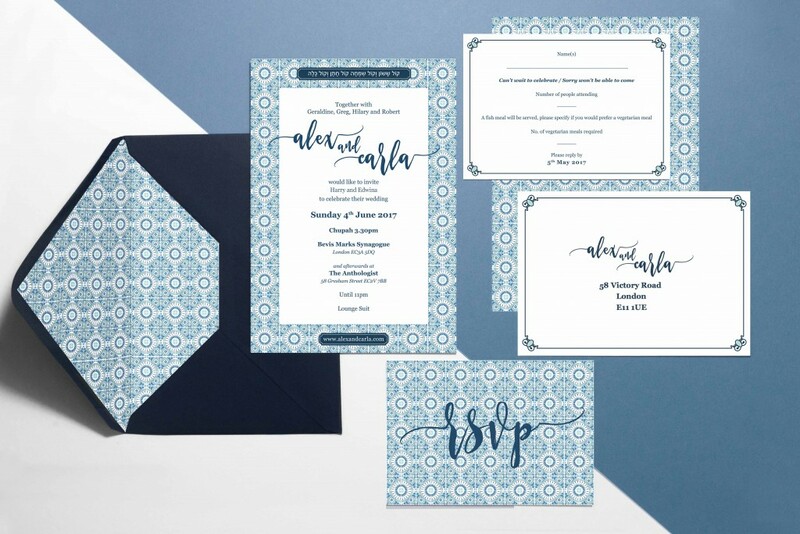 All of the stationery featured below is from our studio collection ‘Cafuné’. 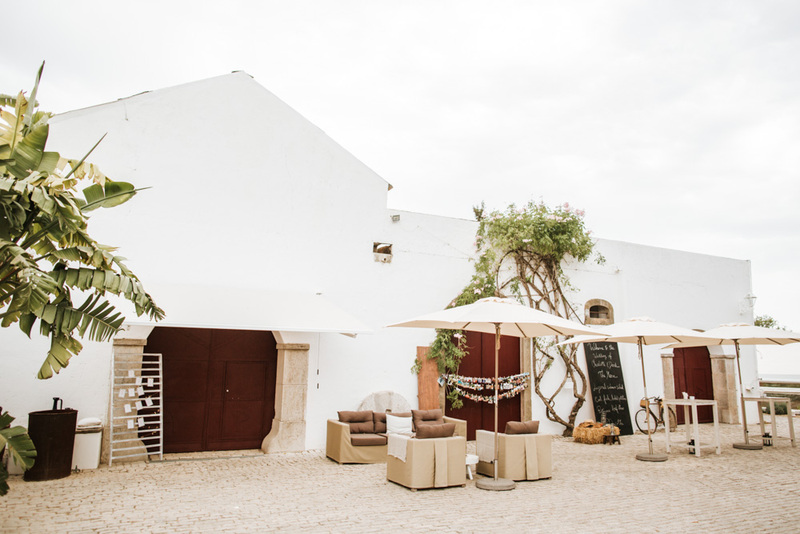 This stunning venue has traditional Portuguese elegance with a quirky modern edge. 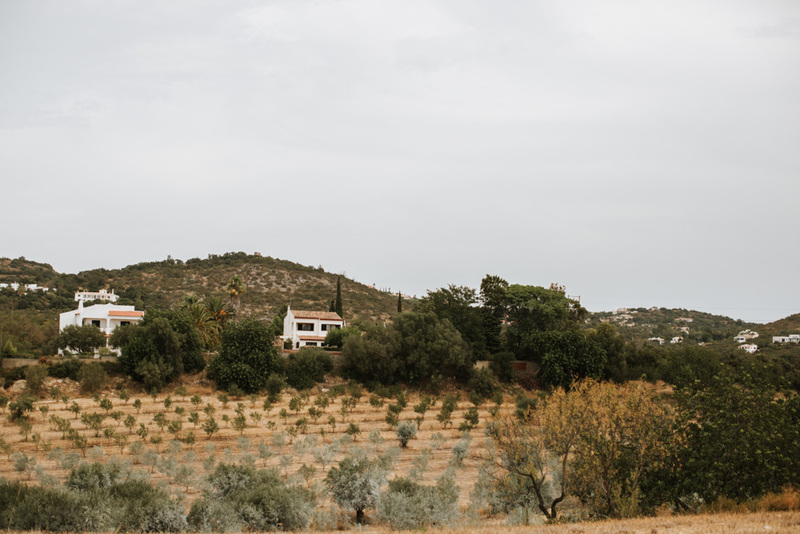 Os Agostos is the name given to the houses on the farmland and to the area itself made up of two dwelling units from the eighteenth century and an olive press house. It lies between the coastline and the highlands of Algarve, 14 kms off the city of Faro. 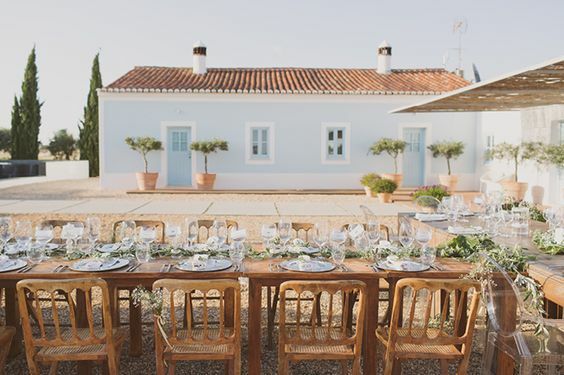 Malhadinha is found in the Alentejo region of Portugal and is a country house and spa which can be rented for small groups of family and friends for wedding celebrations. Surrounded by vineyards, its an escape from the modern world and a little slice of heaven! 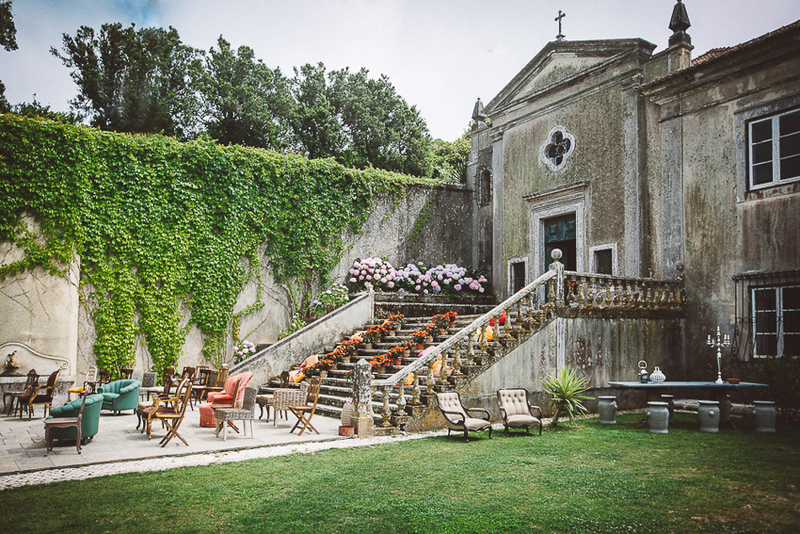 The Quinta has been standing for over five centuries and is located in the Sintra Mountains. Sintra itself has been named one of the most beautiful villages in the world and the views from the The Quinta are INCREDIBLE! 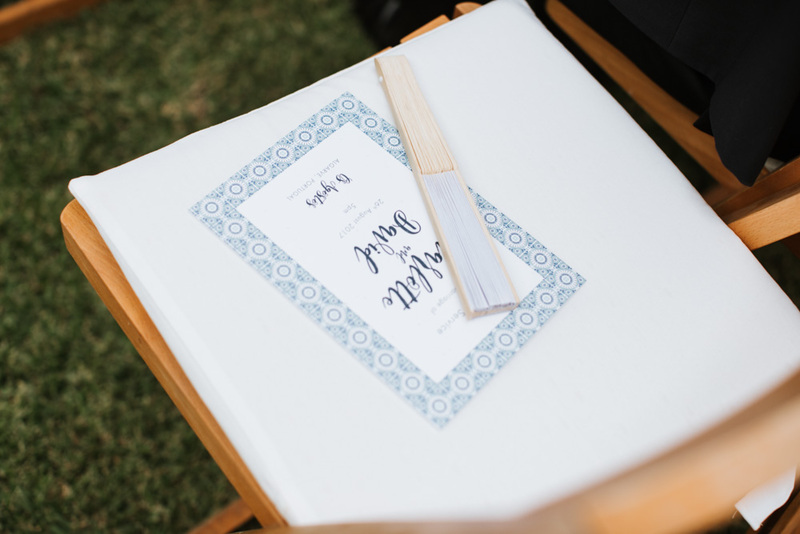 You can also decide whether you want to be married in the chapel, garden or on the beach nearby! 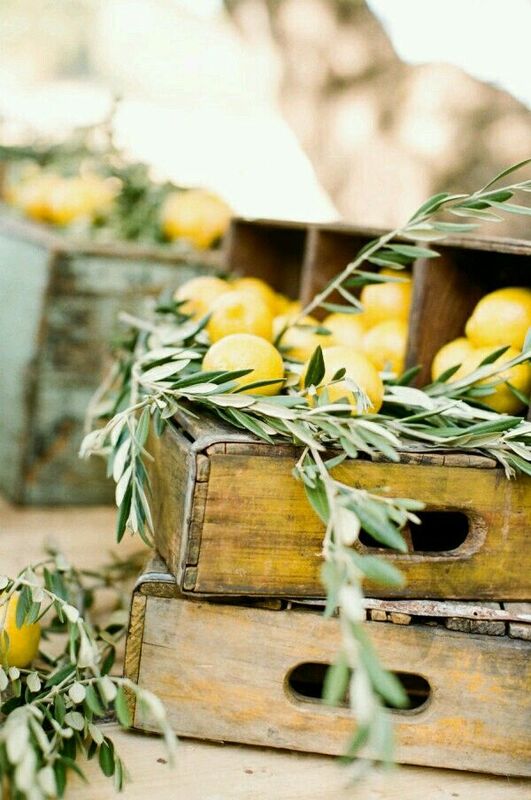 Portugal oozes relaxed vibes, so many wedding venues are right on the beach or tucked away in a remote olive groves. Emmy Mae’s boho style dresses would be the perfect style for a Portuguese wedding – we love this one in particular – the ‘Sage’ dress. We are also loving the whole jewellery range at Zoe and Morgan for a modern take on bridal jewellery, like these ‘Ketama’ earrings. 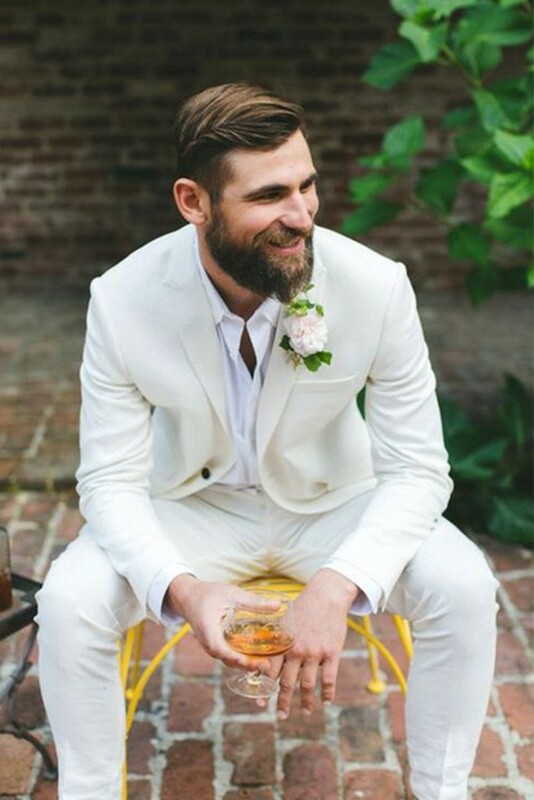 Grooms – when temperatures are soaring in the heat of the summer months, you’ll want to stay as cool as possible. 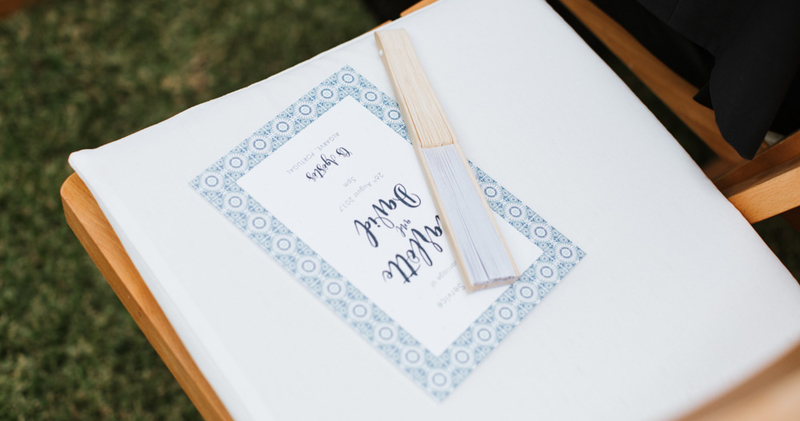 Suits and clothing in light colours and thin materials are going to go down well – this groom has it down to a T in our opinion – even the boutonniere is fresh and stylish! Looking to match your Portuguese colour scheme? 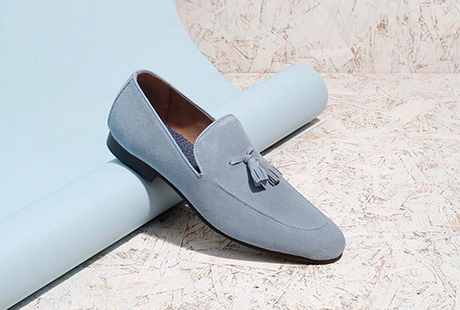 These Kurt Geiger ‘Pisa loafers’ in pale blue will be a statement piece in your outfit for sure! 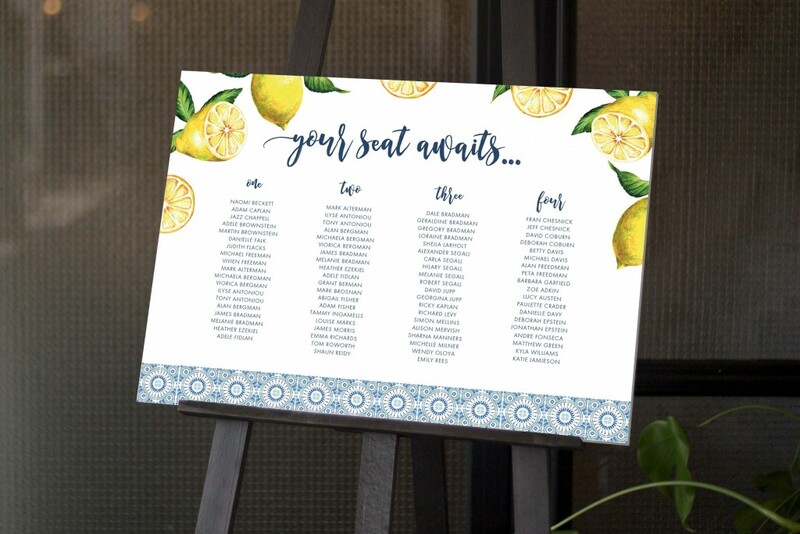 These are all wedding stationery examples from our studio collection set called ‘Cafuné’ that have been adapted for various clients. 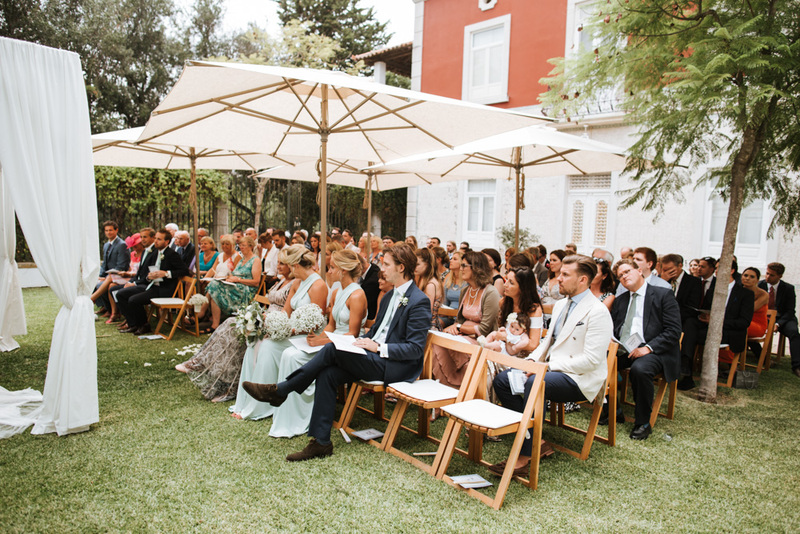 They are so many different options for floral displays and bouquets at a wedding in Portugal. 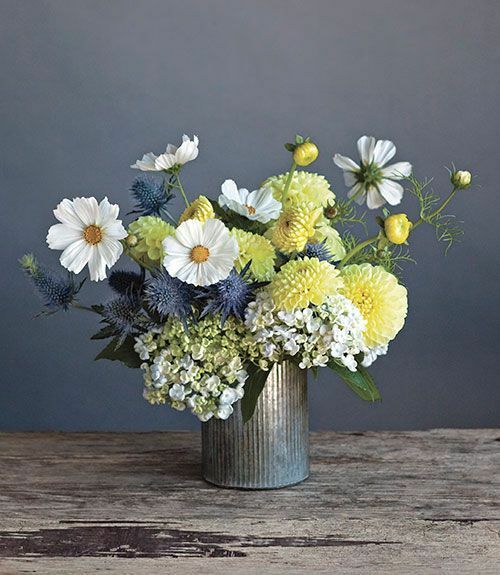 We love the idea of continuing the yellow and blue colour scheme from out lemon inspired version of our ‘Cafuné’ wedding stationery set by using white hydrangeas, blue thistles and yellow dahlias and cosmos. 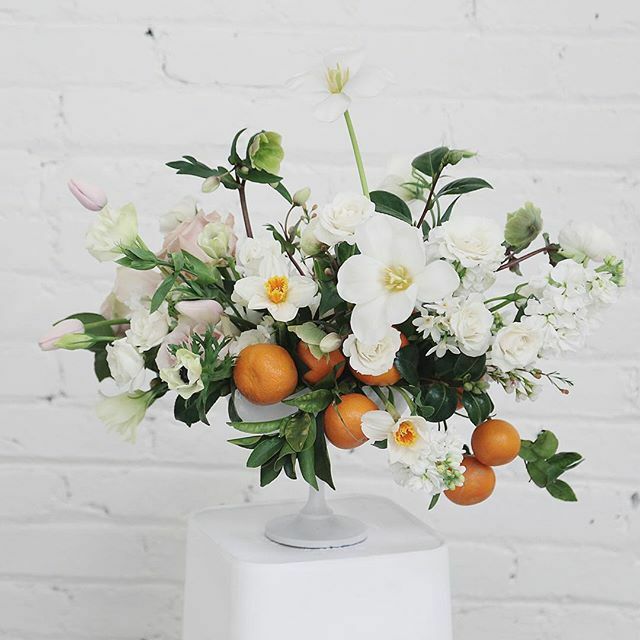 Featuring citrus fruits amongst flowers in your arrangements adds a pop of colour in your wedding styling and always look great on a sunny day! 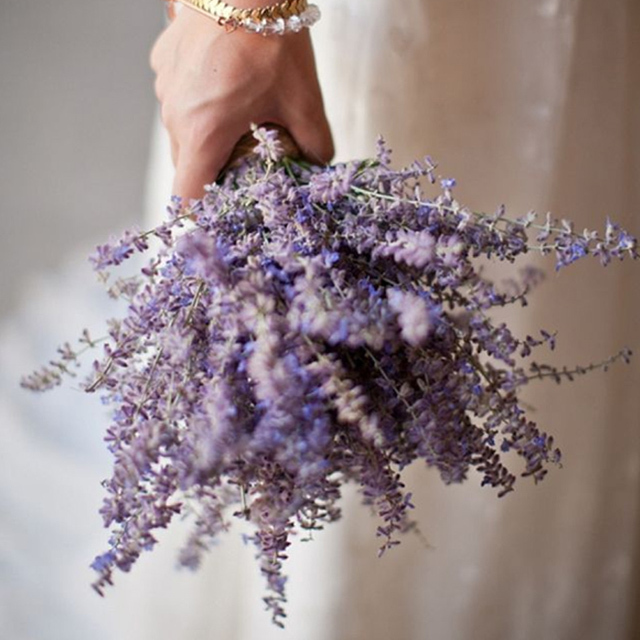 Another simple but very effective flower to use would be lavender as it’s Portugals national flower! 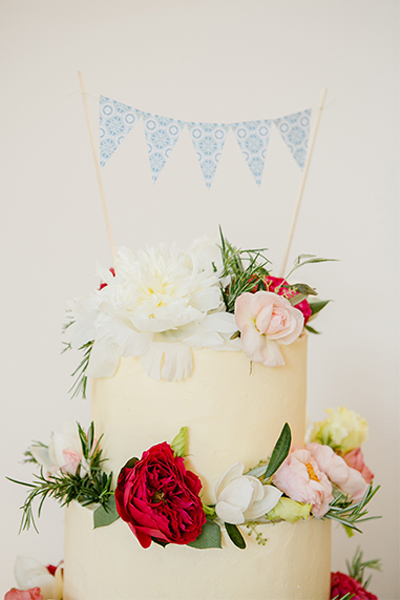 Little bunting cake topper created using our Portuguese tile design. 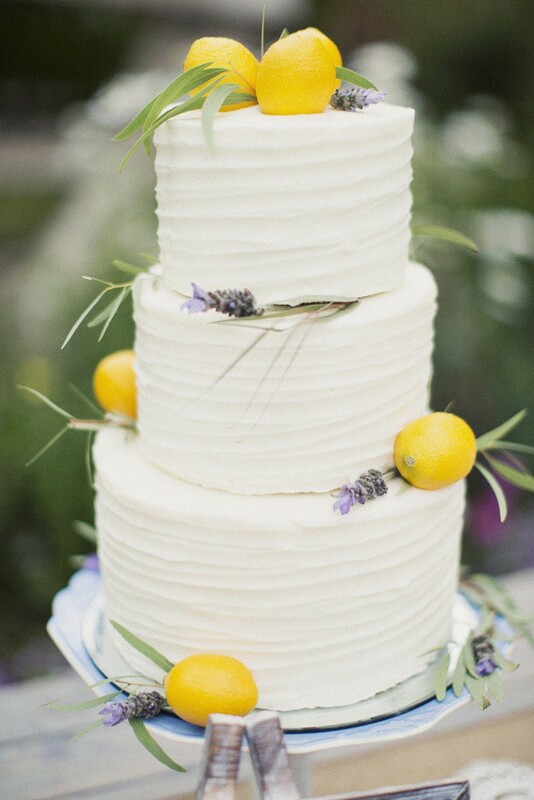 Lemons and lavender – simple and stylish! The perfect Portuguese combo! 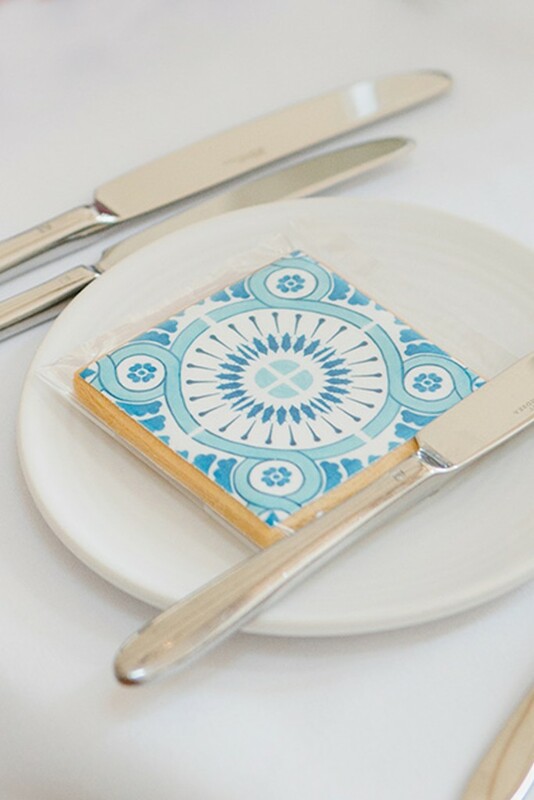 These cute little biscuits use our hand-painted Portuguese tile pattern as edible icing!